Djinn are creatures of fire, which is why they are invisible, yet destructive. Another creature in Saudi Arabia, that features those characteristics is the elusive AlNamrood. An entity operating under a veil of mystery for very real and tangible reasons. In this country, it can be punishable by death to play dark blasphemous music. AlNamrood has been steadily delivering music since 2008 and the international attention for the project seems to have given it a boost. The last album Enkar, released in 2017, clearly caught many listeners ear with the raw sounds or protest that could easily be compared to the better bits of Darkthrone. A live show however, that will not happen soon unfortunately. 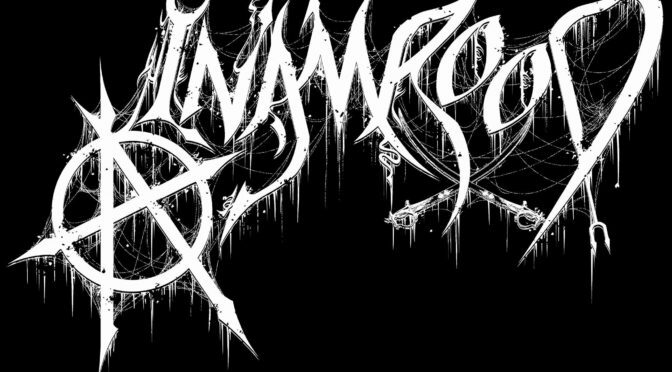 Through their label Shaytan Productions I managed to ask Mephisto, the master behind this project, some questions. Unfortunately a Skype chat or such is for obvious reasons not possible, but he was kind enough to update us on Alnamrood. Hello Mephisto, how are things? How is it going with AlNamrood? AlNamrood is going progressively as usual. Understanding your need for anonymity, could you shed some light on yourself as a person behind the band? What made you want to do this music and how did you arrive at black metal? I play guitar, I’m influenced by the extreme metal of fast picking, open strings, and catchy riffs. The main driver to start AlNamrood was the need to express the rage of daily oppression we deal with. Black metal was a great platform, although we fall toward punk more often, either ways, this music satisfy our needs. Who are currently in AlNamrood and how did you get in touch? I imagine that reaching out to find members can be challenging and even risky for you. Could you tell me about that? Humbaba and I are the main members, we knew each other for years, but we only came to work together since 2013, we released the album Heen Yadhar Al Gasq Translates to ‘when dusk appears’. I think I’m very lucky to know Humbaba, he is literally the only mate I share my thoughts with, not only music. Finding members indeed is a risky business, not if it is impossible in the first place. This is why the AlNamrood line up is limited. Your most recent album came out last year. What can you tell me about the writing and recording process of this album? Enkar was fairly experimental, it was a very interesting experience, the roughness, and the low down dark sound was exactly what we cooked for. The guitar recording was aimed to be down tuning, drums were built based on thrash/punk beats, Arabian instruments were pushed back in the background, the bass is clear. We also used the stem mastering done by Endarker Studio in Sweden, however, the recording and mixing were done by us. What is the story on the album? And what message are you trying to convey on this record? “Enkar” translates to “denial”, and this album (as each album had a core point and narrative) articulates the phenomena of social denial, in particular, what we experience in a daily basis in our community. We expressed the psychosomatic drivers or psychological tricks used to program thoughts as if those are ideas and believes shoved into people minds, and how people accept repression as a safe ticket than speaking out against it. The issue about the Middle East in general, is people riddled with religion, ignorance, and fear. Fear has created slavery, and authority has succeeded to use religion as a tool to empower this fear and make people kneel to tyranny, in order to get the big prize in afterlife heaven, while this life is mortal and not worth it. This has extended to the point of people started to enslave themselves without anyone asking them to. Nowadays, the religious icons do not need to go into platforms to push for their ideologies like in the past, the people themselves will start to defend religion and raise flags of patriotism even though their rights are crushed, this programming is well done and it sickens us to see people suffer from their own doings. When I listened to your album, I felt it contained a certain level of punk elements. From the artwork (and of course the anarchist symbol in the band logo) to the raw and direct sound of the record. I felt the music was truly rebellious. How do you feel about this? You described it very well. In previous interviews, I’ve read some pretty strong convictions when it comes to religion. Can you tell me some more about your name and views? As the name implies, we are sick from the religion and its affiliation, we are sick from nationalism and its idiocy, we are sick of the system and how it aimed to work for the specific class in society. We renounce ourselves from all of that. You’ve used a lot of traditional or if I may say folkish elements and instruments. I’m very interested in what these are and where they originate from. Typically, we used oud, Kanoon, Ney and of course darbuka. As the situation in the middle-east seems to be changing in many places, what is the status of censorship, dangers, and liberties you are facing as a musician in Saudi Arabia? No change in term of censorship and liberties. The claim in moving the country into liberalism is a hoax and no merely than a propaganda. You have had, as far as I am aware, one face to face interview with a Dutch journalist. What was it like to do that for you, coming from a risky situation and meeting in such a manner? As long as the interview was not done on Saudi soil and it is purely aimed at Dutch readers, we assessed the situation and agreed to it, after all, there won’t be any public prevalence of our identity. The meeting was fine, the interviewer was flexible and understanding, it was a nice meeting. I understand that everything when it comes to facilities is pretty challenging too, from instruments, rehearsal spaces to recording and having music or merchandise. Can you describe that to me? Also how you work on getting your work to the label etcetera and influencing all the aspects of the creation. It is very difficult; we do everything in the home-based studio, very discreet. We get our equipment from close by countries and online, usually the problems occur with getting guitars, there could be some questions, but we manage. We communicate with the label online, everything is sent online. You pay particular attention to the certain symbolism in the words, but also in the videos. I’m very curious to learn how you do get to make videos, merchandise etcetera, even though there’s an obvious limit on what you can do. I understand you travel a lot, is that key for all this? The merchandise is handled by the label, the music videos are also handled by the label, expect the last video was done by a Dutch friend. Yes, traveling helps a lot, we created good contacts around the world. In a previous interview it was mentioned that due to a criminal record, the band would not be able to fully leave the country. How is that situation now and could you shed some light on what might constitute a criminal record in your country? We can’t disclose any details on this question, all that we can say is what many people are thrown in jail for stating their opinion. Which is not considered a crime in any developed world. Are there any other bands that play metal in your country at the moment and what sort of history does the music style have in Saudi Arabia? None that we know or heard of. Saudi Arabia has little history of music, unless if you count national music as a musical event? Are there any bands currently active that you would recommend? Nothing that we can recommend. I wanted to ask you if other bands faced similar difficulties as you do? I don’t think so, as long as they are nationalist and with a side of religion, no problem at all. Maybe they will be misjudged for a satanic group, that’s the worst it can be. What are your future plans for AlNamrood or any other projects? If you had to compare your band to a dish, what would it be and why? Spicy course, because spices make your blood pressure goes up and your ear to ring and you will sweat if it not suitable for you.